Phil Abramson returns to tell us more about working as a DIO archaeologist. Read his first blog here. As a child my parents used to take me on weekend trips to the various stately homes around Manchester. Little Moreton Hall in Cheshire stands out, as does Chatsworth House in the Peak District. We visited so often I swear the Duke and Duchess of Devonshire thought I was a long lost son! All this must have rubbed off on me in later life, because I studied at Hull Teachers' Training College in the mid 1970s on an Evolution and Prehistory course, as I thought it sounded different and interesting. That proved correct and two inspirational lecturers, Aubrey Burl and Dougy Bridger, encouraged me to consider a career in archaeology. 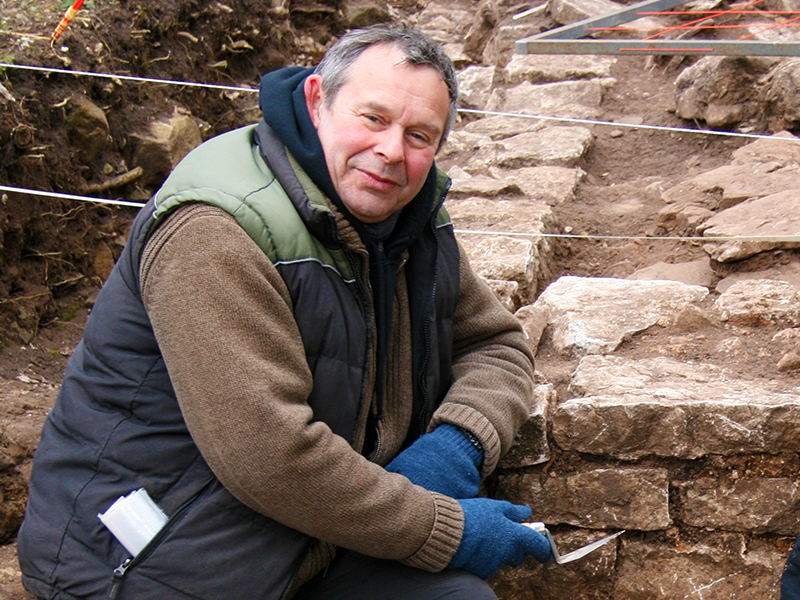 Before applying to work at the DIO, I worked as an archaeologist for ten years in local government and for a further ten years as a project director in a private archaeological consultancy. In 2004 applied for a post in Defence Estates, DIO’s predecessor, in the Environmental Support Team. I'd previously worked in the team covering maternity leave, so I had an idea of how interesting the work was and what was required of the post holder. DIO recognises its responsibilities towards the historic environment and aims to be an exemplar within Government in the management of heritage assets. I'm a member of the Environmental Advisory Service Historic Environment Team, together with the team leader, Richard Osgood (Senior Historic Environment Advisor) and Chris Daniell (Senior Historic Buildings Advisor). Between us we cover the whole country and provide advice to colleagues in DIO, the wider MOD community and the Armed Forces to ensure that MOD complies with national legislation and government policies on the historic environment. I find that there is a mutual respect between myself and my colleagues, and the people I liaise with take on board the advice I offer. This is always a source of pleasure to me and makes me appreciate my job and the people I work with. The people I meet, the places I travel to and the sites I visit all make working in the DIO a remarkable experience. I would be very hard pressed to identify a single highlight, but stumbling across what could possibly be a previously undiscovered Viking Age long house at Cape Wrath stands out, as does visiting the Roman tombs cut into the cliffs near Dreamers Bay at RAF Akrotiri on Cyprus. 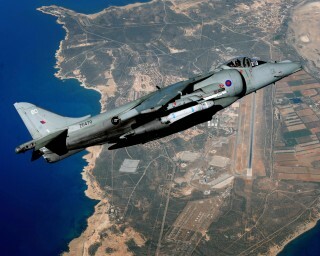 I'd hate to give the impression that most of my time is spent in beautiful remote parts of the country or on Mediterranean bases in the sweltering heat. I wish. A typical day is responding to emails, working on management plans, liaising with my team leader at Westdown Camp and providing advice to colleagues on the impact of developments. The MOD estate contains a huge number of historic buildings and archaeological sites, ranging from world heritage sites, scheduled monuments and listed buildings to finds of Roman or medieval pottery. If I had a pound for every time I'd been asked how I know where to start digging, I'd be writing this from the Bahamas. Sometimes sites are still visible, such as the World War 1 trenches at Otterburn Ranges. Other sites, which are not visible at ground level, appear as crop marks on aerial photographs. Actually, Channel 4's popular Time Team show has been very helpful in this respect. This programme has popularised the use of maps, archives, photographs and geophysics to assist the process of site location. I was lucky enough to be asked to assist on the Operation Nightingale team at Barrow Clump on Salisbury Plain in summer 2012. You may be aware that this involved wounded soldiers using archaeology to help them on their road to recovery. 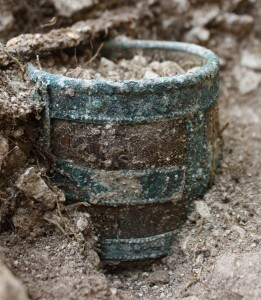 One of the soldiers found a wood and copper drinking vessel in an Anglo-Saxon warrior grave. It wasn't one of my finds, but to be honest, it doesn't get much better than that!